These look very cool, I have been waiting for an Anker to make a pair of over-the-ear headphones just like this. Here's a link to the FCC posting. Missed that sorry bud wasn't trying to steal your thunder. The world does not love Micro USB anymore .. Wonder when Anker and other electronic companies will understand. Whoops, thanks. @pauldey 's FCC link is the correct one and I fixed mine. While makers, make micro-usb by the bucket load,.of course they'll be cheaper to make. Tho, if they started to make USBC by the same quantities, turn they'd naturally drop in price n cost.too. These look good. I missed out on the last ones that came out. When these release I plan on getting a set. I have both and from pure sound quality perspective Vortex wins hands down. These 2 have different Impedance and I'm not sure if that is the reason for slightly different sound signature with NC off. Vortex is less comfortable than Space NC (won't fit very big heads). Space NC will fit biggest of heads. 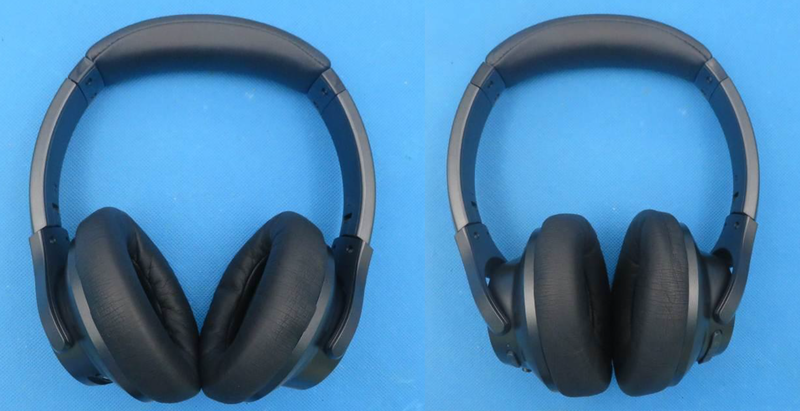 I have a pair of Bose QuietComfort headphones and have no need to upgrade, but whenever that time comes, I'm definitely interested in the Space NC's.